It’s Spring time in Oklahoma City! Main Street is turning green, meetings beginning at the shop are headed to the Myriad Gardens or Centennial Park, Bradford Pears are bringing the masses to their knees. Honey Lavender Lattes have become a Spring favorite and will stay on the bar all month long. #SecretMenu tip: add Honey Lavender to an Espresso Cream Soda for an afternoon treat! Americanos are a staple for most people, but once the weather starts heating up, they start to fall out of favor. Iced americanos are great and they’re available every day in the cafe, but for our April drink special, we decided to put all of the best qualities of espresso and turn it into a drink! Our Spring Americano is a sparkling iced americano made with a lemon and brown sugar syrup and topped with fresh mint! This drink accentuates what we love about great espresso: bright acidity, delicate florals, and a deep and rich sweetness! Mixed with sparkling water, this drink creates a foamy and refreshing Springtime treat! This special will be available all month long so stop in on a sunny afternoon and give it a try! We have created a new special for July: the Maple Pecan Cold Brew. It's exactly what it sounds like. Cold brew, sweetened with maple syrup, and mixed with pecan milk for a creamy texture and unique flavor. That doesn't mean last month's specials are going anywhere. While the Big Red flavor is gone, we do still have espresso cream sodas and cold brew lemonades! Keep an eye out for some other exciting things coming later in the month! June is here! Time for new specials! 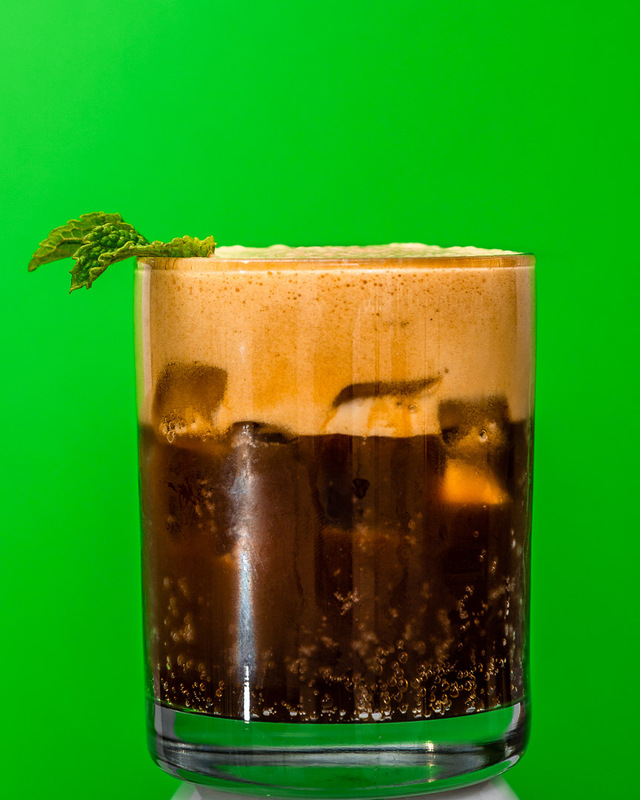 Last month, we brought back one of our favorites: Espresso Cream Soda. This drink started last year with the simple idea that espresso and home made cream soda go together naturally. It's sweet and creamy but foamy, kind of reminiscent of a root beer float. We took that an extra step last month by using peppermint tea from Urban Tea House to add an extra layer of deliciousness. It was really exciting to play with this style of drink, so we decided this month would be a good opportunity to try something completely different. Instead of sweet or herbal, we went spicy. Caleb created a recipe using another Urban Tea House tea, Rooibos Zanzibar, a tea we featured in February's Red Tea Latte. Obviously, it's a favorite of ours. 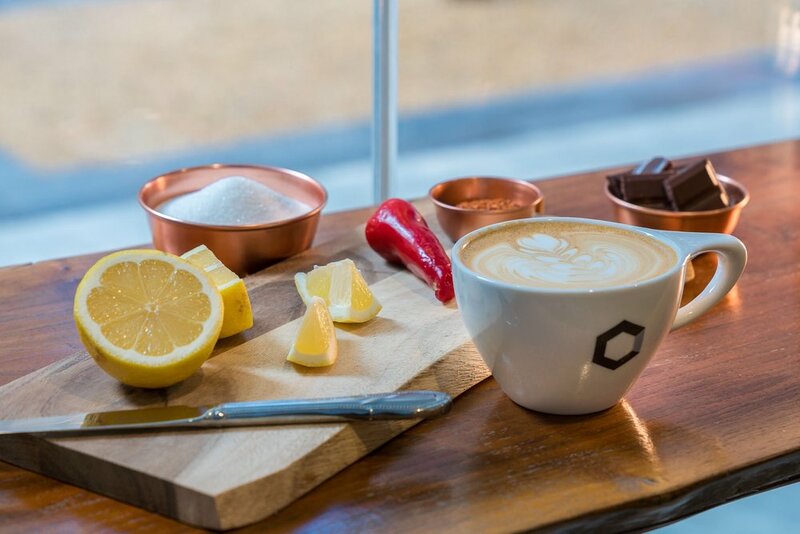 The clove and cinnamon come out nicely, giving a cold refreshing drink a warm finish. It reminds us a lot of that classic drink, Big Red, so that's what we're going to call it. We're also going to feature another popular drink from last year: Cold Brew Lemonade. You can check out last year's post for more info, but this is one you'll want to try!